Come celebrate St. Patrick's Day early with us! 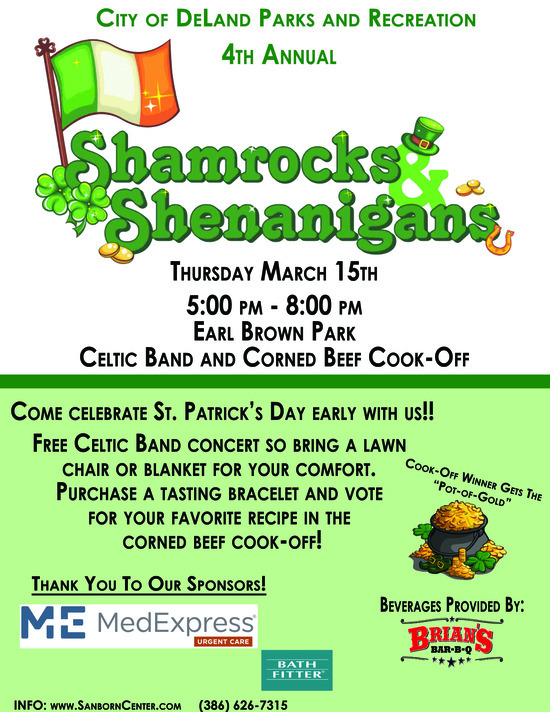 There will be a free celtic band concert so bring a lawn chair or blanket for comfort. Also purchase a tasting bracelet and vote for your favorite recipe in the corned beef cook-off!